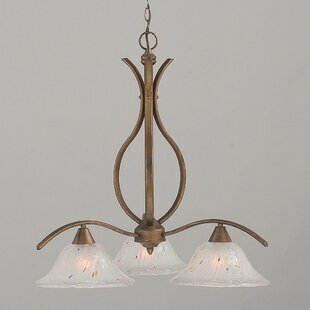 Distinctive and elegant, the Columbus Tulip 4-Light Shaded Chandelier features a gracefully cast metal canopy from which suspends a cast metal post in the shape of a fine candlestick, all finished in antique brass. 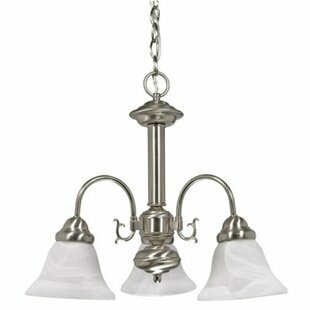 4 flowing scrolls each hold a glass tulip shade at an angle, which is designed to cast light to the 4 corners of the room. 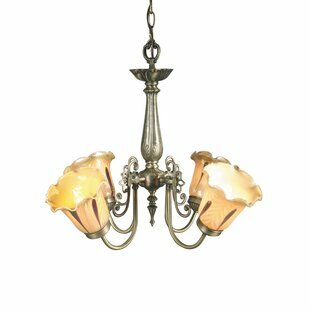 Each of the shades is a solid piece of gold Favrile art glass with an embedded leaf pattern and brown accent swirl. 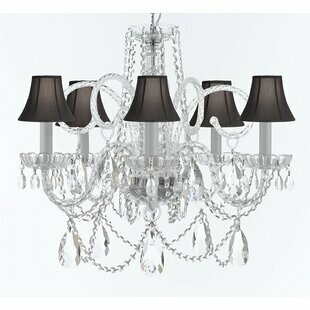 The understated opulence of this chandelier... 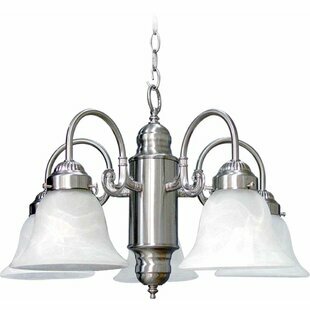 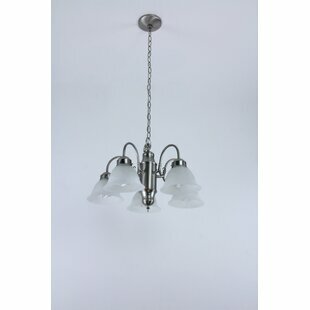 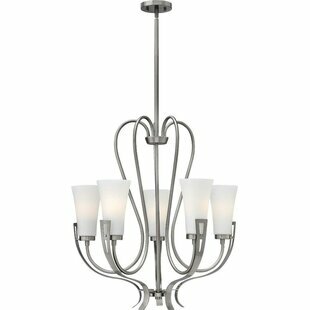 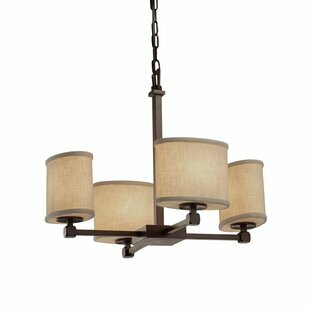 Number of Lights: 4 Fixture Design: Shaded Chandelier Adjustable Hanging Length: Yes Fixture: 18.5 H x 22 W x 22 D Overall Weight: 9.15lb.